In our current political climate, Steve Bannon has become a symbol of the conservative party. Since become a major player in Donald Trump’s presidential win and political strategist in the White House (until his public leave), he’s become a spokesperson for an ideology he defines as populism … and taken the message to global stages. 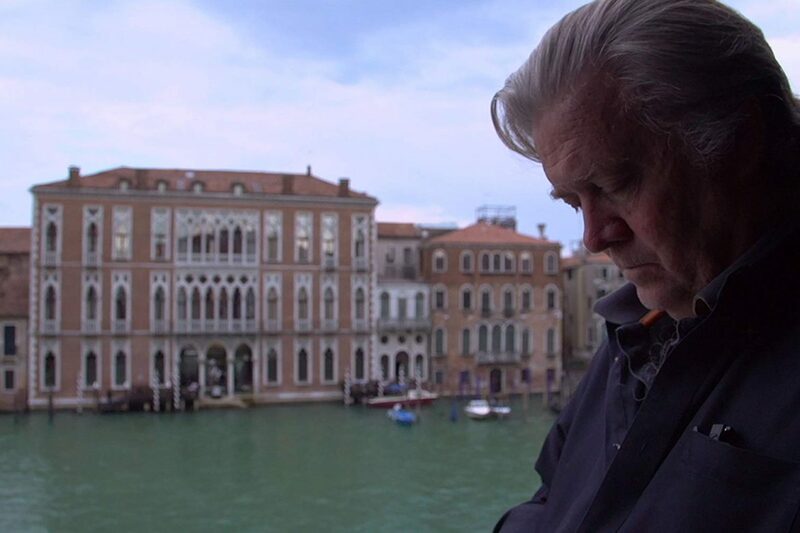 As the political divide grows, Bannon as been one of the major players in politics, but as the new film The Brink depicts, his strength may be all about manipulation and promotion. 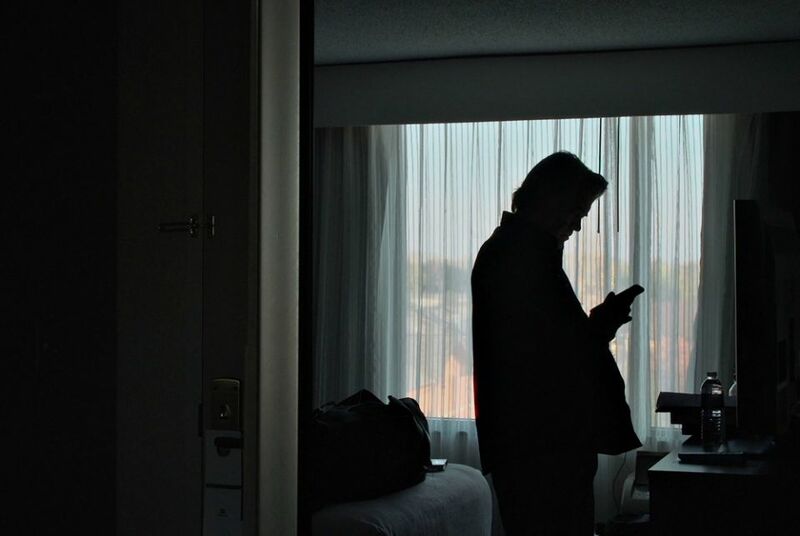 Documentary director Alison Klayman spent 13 months embedded with Bannon, from the time he left the Trump White House to the most recent elections, questioning if his movement is as strong as he claims throughout the film. Lesley Coffin: What was the initial concept you brought to the film’s producers and Steve Bannon himself? Alison Klayman: The origin starts one step earlier. My producer, Maria, knew Bannon personally. He was her boss at Well Spring Media, an arthouse distribution company in the early 2000s. And because of that relationship, she had the idea that she might be able to convince him to give access to her for a verite film. When she asked me to direct it we were 100 percent of the same mind that the way to approach a figure like Bannon is to be in the room as much as possible so we could watch how he moved and who his supporters were. We wanted that to run in real time, not just because we thought it would make the film more engaging but also because he is a central figure regarding where the country and world seemed to be headed. So, he could lead us into the rooms where the far rights seemed to be making their plans. And see how the mainstream and liberal media covered him. He can be our way in to explore these issues that are much bigger than him. We were pretty much a year into Trump’s presidency and like it or not, Bannon played a big role in that victory and the film ends with the election we just had. The film is called The Brink and the question ultimately is, what are we on the brink of, what is coming next. We also felt that he’s a character that would reveal himself more through this kind of filmmaking, rather than expecting him to speak in good faith during an interview. As you see in the film, he sits down for interviews like he’s going into a battle and has very little fidelity to the truth and frankly lies, so that wouldn’t have been the right approach. And having experts framing the events of the film wouldn’t have worked either because at this time there’s so little trust in the media and people feel it’s so politically polarized, even the people you choose to comment could prove to be problematic. So, we used news clips and repetition to comment and give audiences the write context, so people knew this was a critical look at Bannon. But you can do that without having someone explicitly say those things, I trust the audience would see that using footage I employed. Films don’t always have to be propaganda, people can have their own take away. Once Bannon agreed and agreed to have no editorial control, we pitched the film to Magnolia films, who supported us from the very beginning. Lesley Coffin: Did Steve Bannon try to negotiate the issue of editorial control? Alison Klayman: He’s familiar enough with the film world, the non-right winged propaganda film world, that he knows that a respectable filmmaker wouldn’t give that up. And I think he knows that it would be difficult to find any filmmakers of that kind that would be politically aligned with him. But it took a long time to have that release signed. And I filmed for a long time and worried that he wouldn’t sign on that dotted line. Because it seems as if he’s acting against his own interest, but I hoped that he was underestimating me and really assumes that all press is good press, as he says in the film. He was used to being vilified, but in a way that makes him seem powerful. People see him as a racist, but as a racist, pulling all the strings, and he doesn’t mind that image at all, he feeds off it. So, I just hoped that if he was worried about his image, he wouldn’t be guarding himself, and I don’t know how he could have been because I was just there. Being in the background observing allows me to show the intellectual thinness of his movement and hypocrisy that exists. He momentarily acknowledges it, but I doubt he realizes how that just seems through in every scene. The editor and chief of the Atlantic said the film makes him “smaller than life,” and I doubt he expected that outcome. Lesley Coffin: Because he has this background in the film industry, did you ever feel like this is more about showmanship and him exercising a degree of power, rather than an authentic belief in this ideology he’s promoting? Is he more interested in his ability to manipulate or the message? 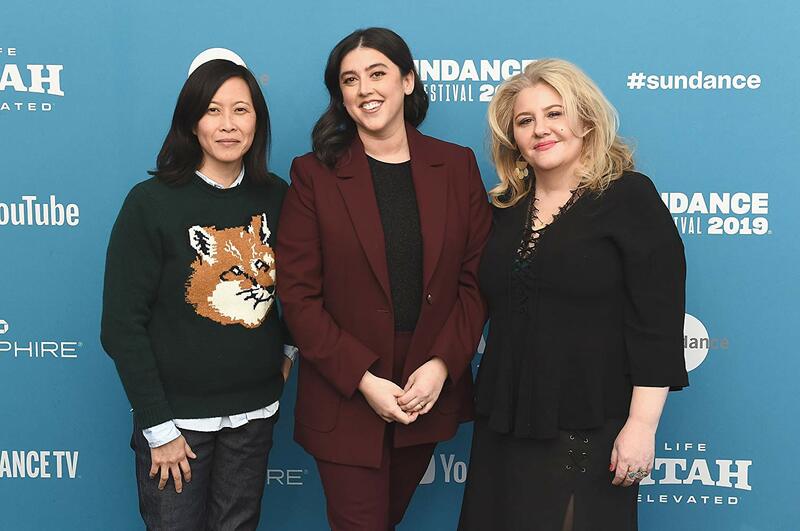 Alison Klayman: I think the best example of that connection he sees in film and politics is when he made his film Trump at War. He told me it’s propaganda, he told Paul Louis at The Guardian it’s propaganda, he goes so far as to say he thinks propaganda’s a good thing. And then as he’s screening it for people across the country, one woman says to another, “My friend said it’s a no propaganda film, it’s just showing things how as they are.” Clearly his propaganda films work, because his followers don’t see them as propaganda. He’s calibrated his audience and he knows how things will play for his particular audience. But I think he’s learned more and more about that control from his time at Breitbart and making these films. He came into the entertainment world as a finance guy, investing in entertainment companies, and there was a point when I was making this that I just saw him as a banker and constant consultant. He’s not just focusing on the messaging and slogans, although he loves simple messaging, but he’s there providing financial advice. Those were the conversation I was typically bounced out of the room for. But look at who he’s spending time with, the former president of Goldman Saks and billionaires from around the world. For all the talk of being for the little guy, his agenda is not threatening the wealthiest individuals. That says a lot about the authenticity of his populist agenda. Lesley Coffin: Not being on the same political or moral side and spending 13 months alongside him, were there times when you found it difficult to stay in his company and continue the filming process? Alison Klayman: There were times when I got very angry, especially when I saw him just lie. But there were also times when I saw him around journalists I thought should be challenging him and they weren’t. That made me angry, too. It took awhile for him to sign that release, so as our relationship was evolving, I had to take a role as an observer at the beginning. I never wanted to underestimate him, even though I hoped he underestimated me, so when I finally did open my mouth it was always to see if I could get something out of him and expose something. So even then I didn’t get much catharsis from speaking up. So, it was about balancing filming with enough time off, taking baths, watching TV, and spending time with people I did respect and made me feel life affirming. Because I found so much of what I saw disturbing. Lesley Coffin: Now that the film is finished and in theaters, what do you feel is the greater value for people in seeing the inner workings of this kind of political maneuvering, beyond the interest specifically surrounding Steve Bannon as an individual and exposing him? Alison Klayman: I really do feel that if you believe this is a worldview that needs to be defeated, you can’t take for granted it will defeat itself. Looking away won’t do anything. And a 90-minute movie isn’t your daily media diet. I put in the time to make it my life for 13 months and distilled it down to 90 minutes, so audiences would have insights they wouldn’t normally have. Even if you assume some of the things we’re talking about, seeing it has power. He’s good at playing politics, but the new left, the women we hear at the end of the film who were just elected, they are the true champions for a better world and the little guys Bannon pretends to be supporting. It offers a playbook which I think will be helpful. I think it’s good for people to know that just because you see someone doing evil in the world, that doesn’t mean they’re spitting fire all day. This is a fuller picture not meant to redeem him but make you realize that the perpetrators are just people too. That’s a difficult truth, because it makes their deeds more chilling, but it’s important to realize.